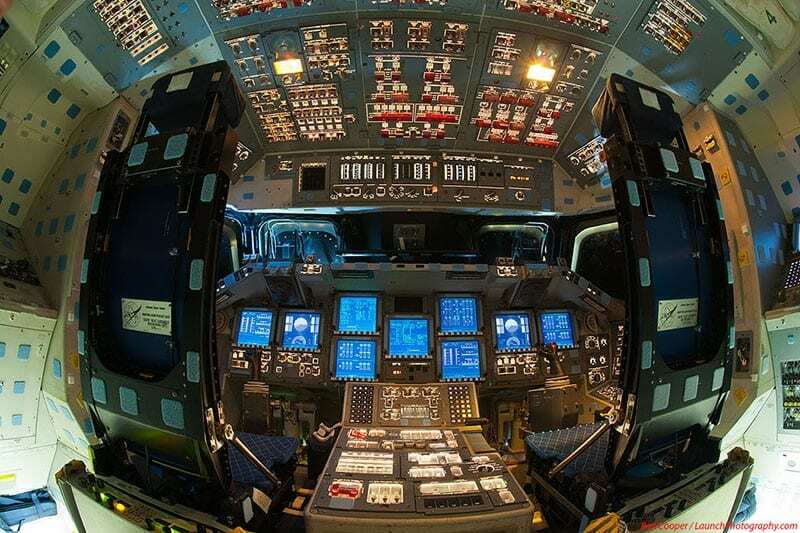 A few days ago, I was viewing images of the cockpit of the Space Shuttle Endeavor (courtesy of Ben Cooper). For some reason, it looked quite familiar: all the buttons, different switches, labels… reminded me of some cloud management interfaces. For many users, all the gadgets, add-ons, and great features can be a big plus for their IaaS tool belt. If you’re new to IaaS, though, all of the different options can be intimidating. Suddenly, the idea of “instant availability” feels distant, hindered by a 500-page user manual. In some cases, we have even had to reach out to providers’ support teams to ask them how to provision VMs, which is saying a lot because we do it every day across a wide variety of providers. In rare cases, even support is stumped on how to provision their own VMs (to be fair, usually it seems like outsourced support that has the most trouble). In advance of Part 2 of our Cloud Vendor Benchmark 2015 report series, we have been provisioning more VMs than usual. We want to share three of our favorite interfaces from our collective experience in setting up VMs. Based on ease-of-use, simplicity, and intuitive features, these three providers impressed us and were so easy to provision that any first-time user can easily go in and immediately set up a VM. DigitalOcean offers one of the simplest interfaces to use on the cloud market today. Its minimalist approach to cloud servers makes it easy for a user to quickly get acquainted with the interface and provision machines. Once a user is logged in, he or she immediately sees a list of all VMs (called “droplets” on DigitalOcean) provisioned, despite the various geographical regions. We really like this because it gives us a very clear glimpse into all of the VMs we have running so that we have a full view of our virtual environment, rather than having to load different pages and panels to view virtual machines in different data centers. Provisioning is simple as well. The large, green button at the top of the interface makes it obvious where to go to create a VM. The provisioning process is straightforward: give it a name, select a size, select an OS, select a region, and (optionally) give it an SSH key. No clicking “next” and waiting for the next screen to load. Get it all done by just scrolling down. Certain to deliver on its promise, waiting for a droplet takes less than 60 seconds, and the process to a ready state is tracked with a simple progress bar. Support is a ticket away, and DigitalOcean does a great job in providing an active user community to discuss tips, best practices, questions, etc. Because of DigitalOcean’s market concentration on developers, if the interface allowed the option to provision and delete multiple VMs, it would be an added benefit for users. ProfitBricks has the only user interface that we have come across that allows a user to provision and delete multiple VMs of different sizes all together. In other situations, a VM must be provisioned one at a time or clones of the same-sized VM can be provisioned, but provisioning different sizes is a sequential, rather than parallel, process. ProfitBricks does this through their unique Data Center Designer (DCD). The beautiful thing about the DCD (other than its literal beauty) is the convenience of blueprinting your data center. Before you click the provision button, you can see exactly how all your VMs are laid out, where the network connections are, sizes of the VMs and block storage, etc. All the information you need to be sure about your data center before you provision and start being charged. The interface simulates the familiar experience of a browser by providing tabs at the top for the user to conveniently switch between virtual data centers without having to wait for anything to load. Similar to DigitalOcean, the Start Center of the DCD gives a holistic glimpse into entire virtual environment without having to flip across geographical panels. By clicking the Details menu on the right of each virtual datacenter, a user can see all of the VMs provisioned inside. Even before you log in, ProfitBricks proves its commitment to user experience with the option for two-factor authentication. For security purposes, this is always recommended. But it does come at a cost of convenience. By giving the option for the user to decide whether or not it is worth the inconvenience, ProfitBricks delivers security by the user’s standards, rather than forcing its own. From our perspective, adding in SSH-keys to provisioned VMs would be a great additional feature for the UI, which would increase convenience by eliminating the need to remember randomized passwords. Rackspace clearly recognized user experience, and solved it with a big red arrow so no one would ever have to send in another support ticket asking “how do I create a server?” If you do not have any servers provisioned, the red arrow will appear, directing you to the “Create Server” button, where you can begin provisioning machines. The interface is much simpler than many of the large providers we see out there. The bare-minimum approach to buttons and clear terminology results in a clear path to setting up servers. Provisioning is straightforward as well. Like DigitalOcean and ProfitBricks, VMs are provisioned by going through a process laid out on a single page, meaning no loading or clicking “next” and “back” buttons. Unlike DigitalOcean and ProfitBricks, Rackspace’s Cloud Servers does not give users a holistic view into their entire infrastructure, and a user must select the regions individually to view different setups. This can lead to VMs that are forgotten, which results in unintended charges to a user’s account. From our experience, we believe that DigitalOcean, ProfitBricks, and Rackspace all show a strong commitment to user experience. Each delivers a unique approach to making a user’s life easier. Take it from a team that has touched almost every cloud provider management interface on the market, we really, really appreciate it.